Saturation (or chroma) is one of the three attributes of color (hue, lightness and saturation) and refers to the intensity and vividness of color. A clear color has a high saturation and a dull color a low saturation. This means a color with the same hue and lightness would appear clearer if it has a higher saturation. Colors with no saturation or hue (white, grey and black) are called achromatic colors, and colors with even the slightest saturation are referred to as chromatic colors. Of these chromatic colors, colors of the solar spectrum with the greatest saturation are called pure colors. Pure colors are expressed in terms of their level of purity. Perception of saturation can depend on the saturation of the colors around it. This is called saturation contrast. In the saturation contrast diagrams, the central green section surrounded in green of a lower saturation (left) in Diagram a. looks clearer than the section surrounded in green of a higher saturation (right). 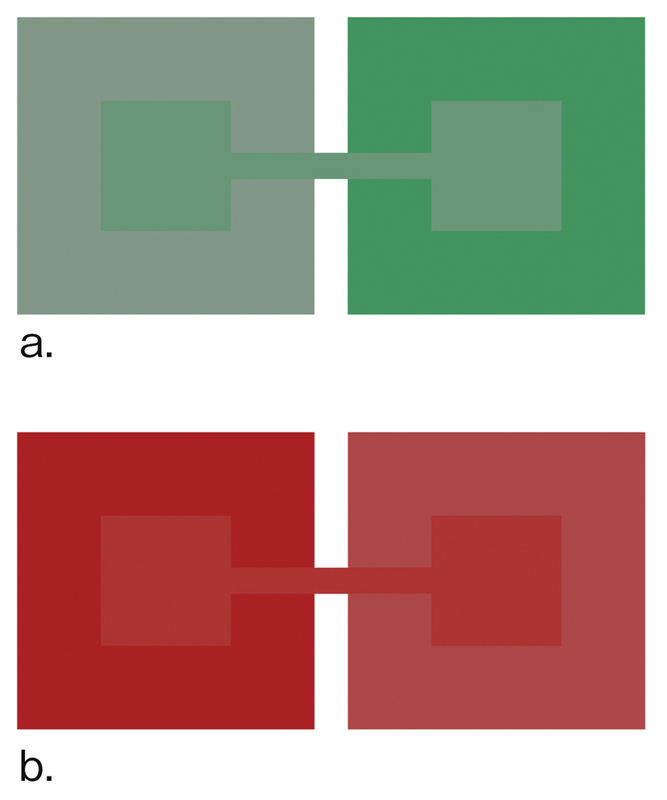 In Diagram b., the central red section surrounded in red of a higher saturation (left) looks less clear than the section surrounded in red of a lower saturation (right). Colors can be organized by assigning them values based on their saturation although these values will depend on the color display method used. 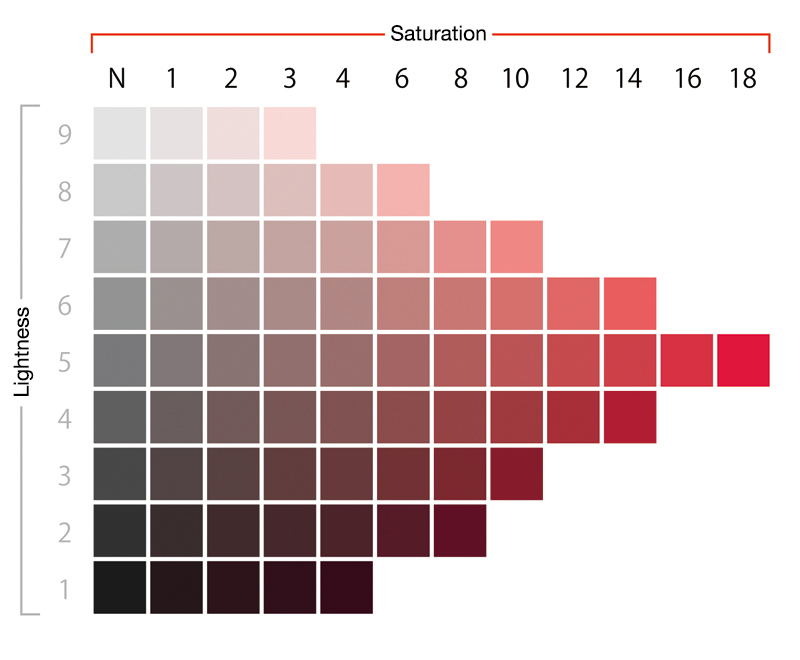 In the Munsell color system, achromatic colors are assigned to the value of 0 and chromatic colors have different maximum values depending on the hue.